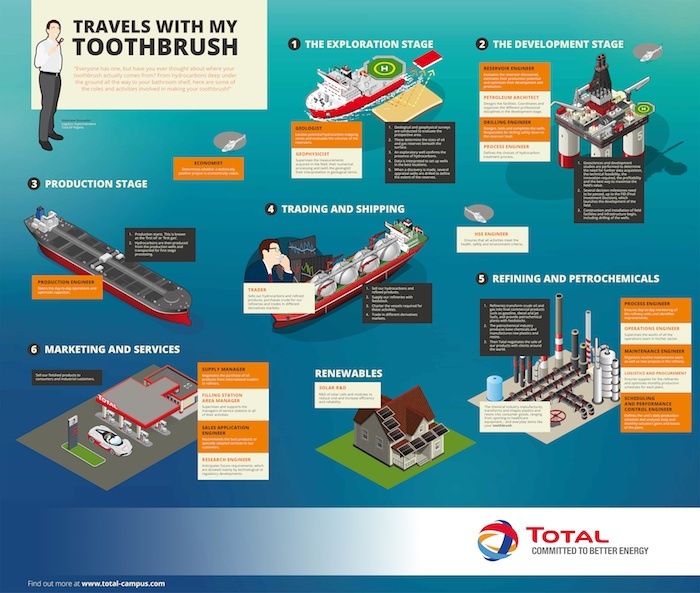 From geophysicists to economists, many people are involved in the production of everyday items like your toothbrush. Check out this infographic to see a selection of the key roles at every stage of the processes. Click to expand the infographic in full screen or download it from here to find out more.